Phew! It has been a funky week around here. Tuesday felt like Wednesday, Thursday felt like Tuesday, and Monday always feels like Monday... You get the idea. 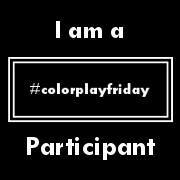 I'm glad it's Friday and I'm glad its a Color Play Friday! For those of you who are new, Color Play Friday is a fun weekly challenge hosted by Trina from In an Otter Life and Lorinda from Laurel, Poppy and Pine. 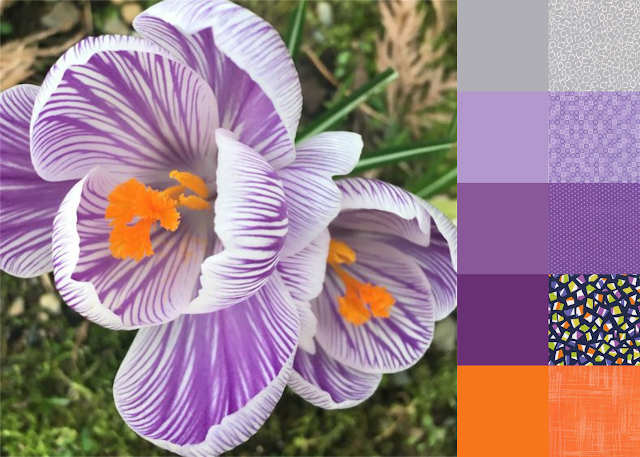 Each week they provide one of their photographs as inspiration and then the participants create a color palette and a coordinating fabric bundle based on the photo. 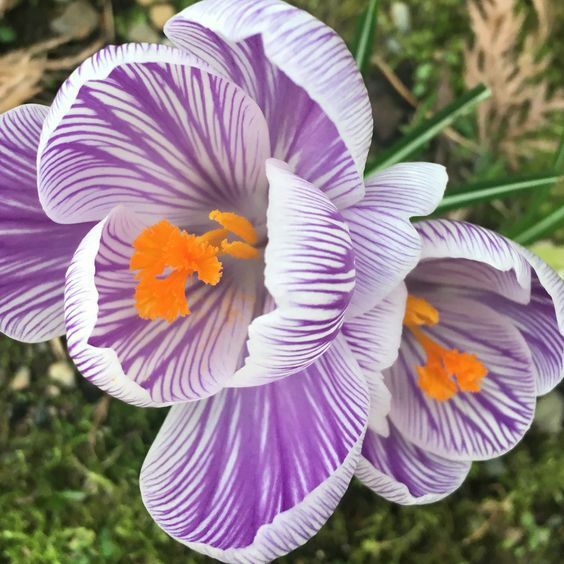 This week's photo is simply gorgeous. It's called Crocus. Here is what I came up. If you are interested in playing along, please check out the hosts' pages for more info. You can click on either of the CPF buttons on my side bar. I love it! We chose very similar colors this week. And I love that we both chose Robert Kaufman dots, but different ones! I love this palette! Orange and purple are so good together and I love that you pulled in the lime green with the fun print that you chose.